This happened a few months back. Boy's name is Abdullah Noor and he is a cancer patient. 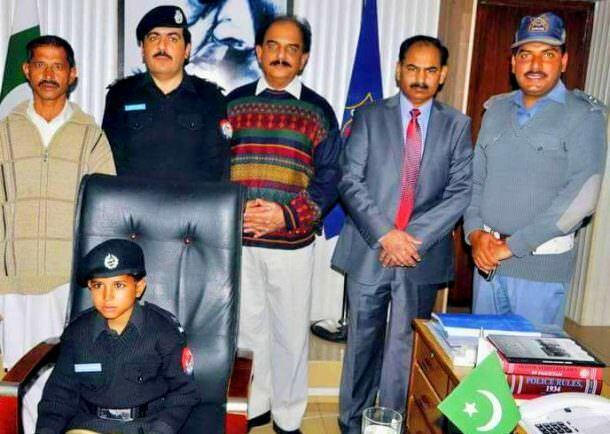 Upon his wish, he was made SSP Traffic for one day and supervised traffic wardens in Faisalabad. By the way that boy is suffering from Hodgkins Lymphoma, a cancer of the lymphatic system, where cells in the lymphatic system grow abnormally and may spread throughout the lymphatic system in human body.